Four new inductees will be celebrated at the 11th annual Jump Canada Hall of Fame Induction Ceremony and Gala, presented by BMO Financial Group, on Sunday, November 4, 2018, at the Liberty Grand in Toronto, ON. The Jump Canada Hall of Fame was created in 2006 to recognize outstanding contributions to hunter/jumper sport. To date, 53 champions have been welcomed into the Hall of Fame, including 20 horses and ponies, 27 humans, six organizations, and four teams. The 11th annual Jump Canada Hall of Fame Induction Ceremony and Gala will be part of a black-tie gala and dinner, including live music, held in the elegant Governor’s Room at Toronto’s Liberty Grand Entertainment Complex at Exhibition Place. The Jump Canada Hall of Fame Gala has quickly grown into an annual favourite and each edition has been a sell-out. Videos commemorating each inductee’s contributions to the sport are a highlight of the evening, and friends and associates present the distinct Hall of Fame awards, making for a very special evening recalling the sport’s greatest memories. Induction and acceptance speeches run the gamut from factual to humorous to poignant. Tickets for the Jump Canada Hall of Fame Gala and Induction Ceremony are $200 per person and can be purchased individually or in tables of eight. To purchase tickets, please visit equestrian.ca/sport/jumping/awards. NOTE: Hall of Fame tickets will only be sold on-line through an easy-to-use credit card system. The Jump Canada Hall of Fame committee is comprised of Mark Samuel (Chairman), Jennifer Anstey, Evie Frisque, Muffie Guthrie, Bobbie Reber, Phil Rozon, Jennifer Ward, and Nancy Wetmore. 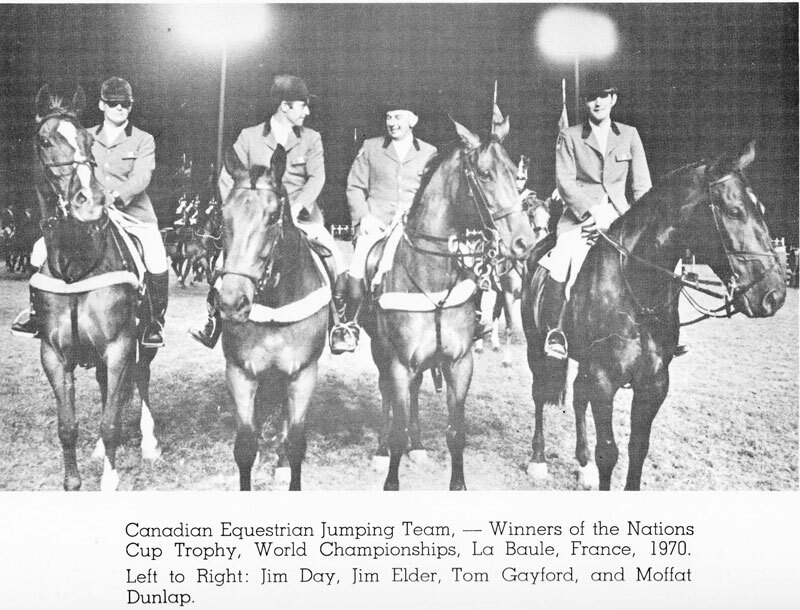 The Jump Canada Hall of Fame is a property of the Jumping Committee of Equestrian Canada. The Jumping Committee is responsible for the development and monitoring of all aspects of the hunter jumper industry in Canada, from the grass roots to the international level. For more information regarding Canadian hunter and jumper programs, visit equestrian.ca/sport/jumping. For more information, please contact Stefanie Krysiak at tel: 613 287-1515 ext. 101 or email skrysiak@equestrian.ca.